I am always on the hunt for new face creams - especially when the weather is a little bit colder and I start to see the effects on my skin like dullness, dryness etc. 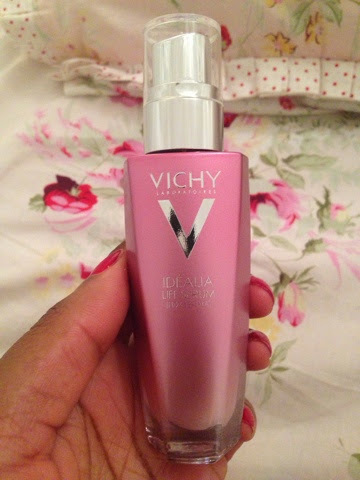 When I was in Boot's a few weeks ago, I navigated towards the pretty rose pink packaging of Vichy's Idealia Life Serum (fickle as I am!...). The serum is in a very cute, ombre pink, heavy based glass bottle with a chrome pump. It looks very much like a gorgeous perfume bottle (above and below). The blurb about this serum from Vichy, is that in just 8 days it can transform skin quality by illuminating skin tone, reducing pores and refining skin texture. Intrigued, I applied some of the tester in store onto the back of my hand and immediately was enamoured by it. It has an iridescent rose pink colour when you start to smooth it in with tiny flecks of rose gold micro pearls through it. It also has the most beautiful scent. 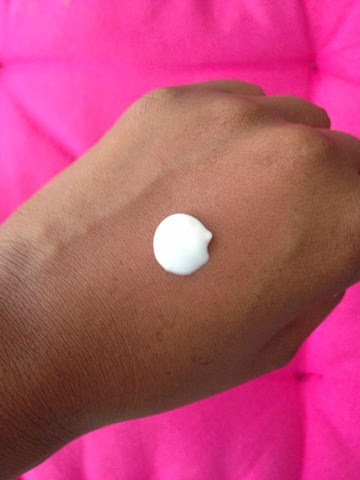 It applies easily - does not leave any greasy residue and I must say I did immediately see an improvement in the texture of skin from where I had applied it. My skin looked brighter and smoother. I decided to buy it and give it a try as my skin was in some much needed uplifting from a few late nights and some unhealthy eating over the last few weeks! You can just about see the iridescent colour that the rose, gold iridescent micro pearls give to this serum. I have been using this serum day and night now for the last two-three weeks and I am pleased to say I saw an improvement in my skin straight away. My skin is smoother, more brighter and it definitely reduces the look of my pores. 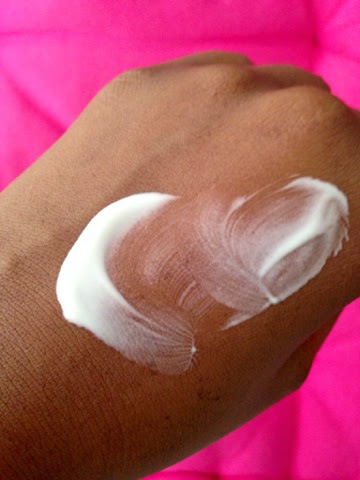 I use it alone and have found that it works extremely well as a make-up primer aswell. When I look at my skin very closely without makeup with this serum applied, I can just about see the little illuminating flecks of rose gold. That might not be everyone's cup of tea, but for me, as someone who has warm, golden undertones in my skin, I have found it to be very flattering. The technology, research and clinical studies that Vichy have done behind this product is very impressive and reassuring. Below are some of the facts and figures from Vichy that prove that you do see results. Another bonus is that it is non-comedogenic, paraben free and tested on sensitive skin. As I have quite oily skin and sometimes suffer with tiny little spots due to clogged pores this was a major plus for me. I'm not one for serums normally but I really love this product due to the results that I have seen so quickly. The only con for me was the price - It is fairly expensive at £29.50 and it is only a 30ml bottle. However, saying that, you do only need a little bit of it at a time so it should last a couple of months perhaps (the other con being that you can not see inside the bottle due to it's design so you're unaware of how much you have left!). It was quite a brave move for me to buy this product as this price without knowing whether it would live up the product blurb or not but the tester in store really swayed me. I'm glad I gave it a try and love how bright, refined and smooth my skin looks since I've been using this. 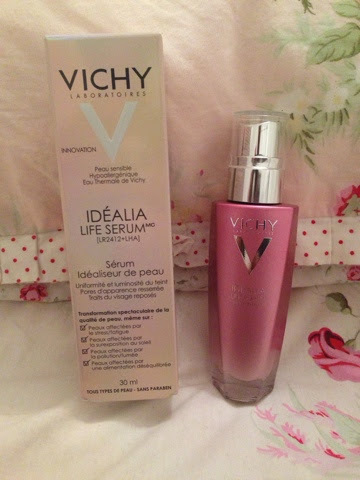 Based on the results I have seen, I will be buying the Vichy Idealia Life Serum again....I just hope there will be some kind of offer on it by the time I run out! !